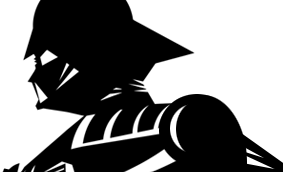 Comments: Classic Star Wars characters are captured in Japanese super-deformed style - the super-cool look that features oversized heads and irregular body proportions! These awesome figures also have lights and sounds that are activated with a touch! May the Force be with you! 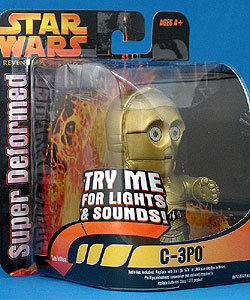 This Super Deformed C-3PO was previously released in 2001's Palm Talkers line.